This sofa boasts timeless, heirloom-inspired styling that was meant to be seen, touched, and enjoyed. The attention to detail is impeccable on this piece, starting with a base of buttery-soft Argentine leather and finishing off with ornate nailheads and detail stitching. Back pillows are designed with a double pillow, bustle style for sink-in support and softness while you lounge. 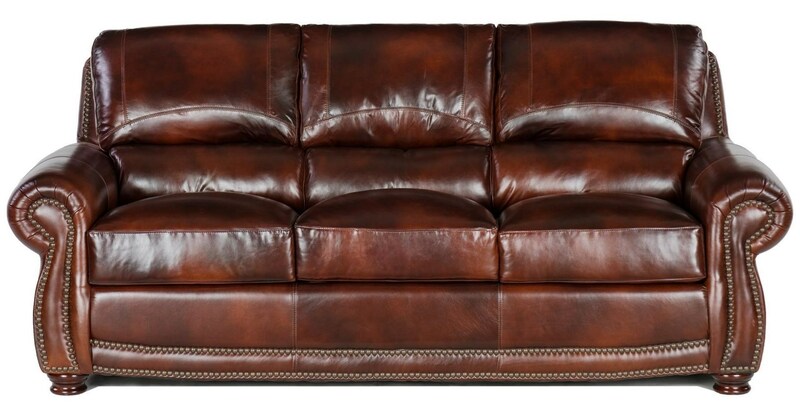 The 4650 Traditional Leather Sofa with Nailheads by USA Premium Leather at Miskelly Furniture in the Jackson, Pearl, Madison, Ridgeland, Flowood Mississippi area. Product availability may vary. Contact us for the most current availability on this product.